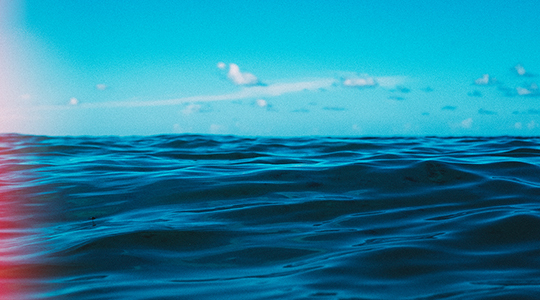 JOIN OUR NEWSLETTER FOR UPDATES FROM +FE MUSIC! The music man behind much of the signature tones that have come to define The Foreign Exchange (+FE) sound continues his alchemist trick of making instrumental electronic music feel organic for laypeople who swear they don't care for electronic music. Following a tradition initially established in jazz by artists like Miles Davis and in soul by Stevie Wonder's experimentations in Songs in the Key of Life (peaking in the woefully underrated In A Square Circle), manipulating electronic music to distill the innate robotic coldness of its confines to cultivate something emotional and resonating is a hard row. Most lean into the coldness, creating music that stretches from the industrial and dystopian to the nihilistic and metallic. Dutch-born, Raleigh-based composer-producer Nicolay has consistently found ways to resist this ease by playing opposites with songs seeking to tell a story without words in ways that still feel human with a capacity to touch. There is an irony in Nicolay calling his fifth solo/duo album outside of the +FE moniker Glaciers, as there is little chilly about this release. Compounding the irony is the name of his collaborators on this epic project, The Hot at Nights (North Carolina-based guitarist Chris Boerner, Matt Douglas on woodwinds, and drummer Nick Baglio). Mixing the fiery trio with his warm electronic sounds on an album suggesting frigid temperatures, Nicolay brings a tongue-in-cheek humor to a project rich with the serious and the bold. 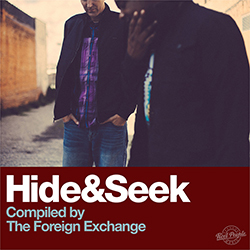 New music from The Foreign Exchange! Impeded by a hard-drive crash and conflicting schedules that necessitated a six-year gestation, Glaciers is at once a follow-up to Shibuya Session EP and distinct from everything these four musicians previously made. Keyboardist and composer Nicolay and contemporary fusionists the Hot at Nights -- Chris Boerner on guitar, Nick Baglio on drums, and Matt Douglas on woodwinds -- have recorded and performed with one another long enough to operate on an intuitive level fully explored here. Where Shibuya Session reworked songs from Nicolay's predominantly electronic City Lights, Vol. 2, Glaciers is strictly new material, thereby enabling the producer's supporting trio to stretch out. Contrary to the title, a reference to the challenges of getting the music to the public, most of the album's 40 minutes evoke steady forward motion, adeptly mixing jazz, funk, and downtempo with echoes of Blue Thumb-era Crusaders and Prince's Madhouse that range from faint to ringing. Most special is hearing Boerner play elegantly needling lines like a guitarist freshly liberated from a metal band intolerant of his habitual soundchecking with Michael Sembello's part in Stevie Wonder's "Contusion." The melodies, including several typically spirit-lifting lines from Nicolay and an abundant quantity out of Douglas' sweet-toned saxophone, are as rich and affecting as they are on any earlier release from the Foreign Exchange family. For all the inspirations this applies, it connects the quartet to a global network of like-minded progressives that includes the likes of Terrace Martin, Logan Richardson, Slowly Rolling Camera, and Kamaal Williams. Though we're always grateful for any new music that comes out of the +FE Music camp, we were not in any way prepared for the one-two punch dealt by our favorite dynamic duo. As our heads are still reeling from Phonte's lyrical masterpiece No News Is Good News released just weeks ago, his creative counterpart Nicolay, along with 8-string guitarist Chris Boerner, saxophonist and woodwind master Matt Douglas and sickening drummer Nick "Nickybagz" Baglio, collectively known as jazz trio The Hot at Nights, followed suit with a musical treasure of their own entitled Glaciers. Previously, they've taken us on journeys through magical places like Shibuya and Soweto as part of their Shibuya Sessions collaborative EP and Nic's City Lights series, and now it seems our quest has taken us to another realm. 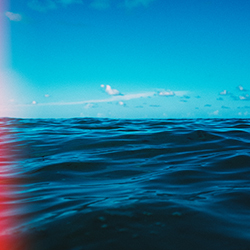 Though we can always count on the crew for a seamless blend of electronic and live instrumentation, this latest release takes the theme of cohesive versatility to a whole new level. Dutch musician and producer Nicolay (of Grammy nominated alternative soul duo The Foreign Exchange) and Raleigh NC trio The Hot At Nights (Chris Boerner, Matt Douglas and Nick Baglio) have been playing and touring together in various guises for years, refreshing their curriculum at every opportunity. There is always groove and lilt and a slick, knowing humor in their music, but it is always carried and earned through powerful musicianship. Most importantly, there is always reach, always an expansion of their musical agenda through complex arrangements and broad compositional risks. 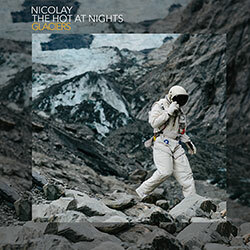 This has been true over a handful of albums from both The Hot At Nights and Nicolay independently, but never has their reach been as long as it is on Glaciers. 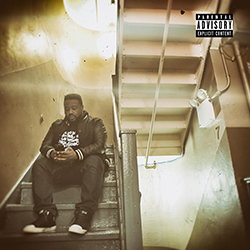 In 2011, when singer/rapper/songwriter Phonte of The Foreign Exchange (+FE) fame released the critically-acclaimed, Top 10 Rap/Hip Hop Album, Charity Starts at Home,it was an impactful reminder that Phonte was more than just the occasionally comical, often reflective crooner of +FE; much more. 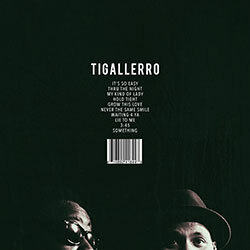 As a rapper, Phonte had been the lynchpin of North Carolina's globally respected four album, six mixtapes run of the now defunct Little Brother trio, whose "Lovin' It" single from the 9th Wonder produced The Minstrel Show is a bonafide cult classic. Audience members who came to know Phonte at the onset of The Foreign Exchange's 2004 Connected or over the last 14 years of near annual releases (whether outfit, duo, solo, live or remix) through Phonte and Nicolay's Foreign Exchange Music label might have thought Phonte's occasional bars throughout the years were the lighthearted play of a singer, not an extension of a strong Southern hip hop legacy several projects and nearly two decades deep. It's been seven years since the commercial and critical success of CSAH and a whole new, younger audience has come along to once again only know the artist as the main singer of +FE. So, once again Phonte is here to remind audiences that his flow as a respected rapper is legit and not just for play play. But, after all these years, can No News Is Good News match the classic that is CSAH? Copyright (c) 2008-2018 The Foreign Exchange Music, LLC. All rights reserved.